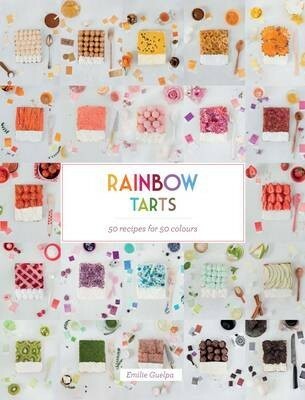 In the tradition of Hardie Grant's most beautiful and interesting food books comes Rainbow Tarts. Foodies and designers alike will fall instantly in love with these beautiful tarts by blogger and designer Emilie Guelpa. Eat your way through the rainbow using fruit, vegetables, candy and other ingredients to create a perfect dish and delicious swatch of colour. With stunning photographs of all 50 tarts and mouth-watering, easy-to-follow recipes for tarts such as Caramel and pannacotta, Cotton candy and marshmallow, Rose and lychee, Beef and B arnaise, and Black truffle and egg, Rainbow Tarts really is a treat for both the eyes and the tastebuds.